I get so envious of you thin girls! And you look like you're in your late 20's too. Not many of us could pull off those looks/outfits and I don't think I could ever muster the courage to go to a football game so Congratulations on such a successful coming and going out story! It was an interesting read, thanks for sharing. Thanks for the comment, and the compliments... I wish I looked in my late 20s! 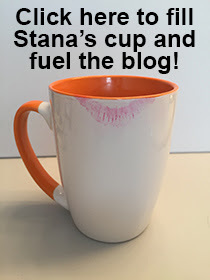 And of course thanks to Stana for a great blog and giving all of us an opportunity to show off our favorite pics!